We are constantly analyzing current trends and what keeps our audience engaged. We stay on top of Facebook’s algorithms to ensure success with every client! Had a great time hosting Shanna and Rhys out here at the ranch. They are amazing people who are living the dream – traveling and documenting some great bucket list adventures. Luckily the Texas Hill Country was on the list and they found our place. They made a viral video that instantly got thousands of views and helped fill up our booking calendar. They also provided us with some stunning photography. We now have tons of professional photos, and every single one looks like a magazine spread. We’re looking forward to seeing where Wild And Free goes next, and to the next time they make it out to our neck of the woods. We worked with Shanna and Rhys from Wild And Free Travel in promoting our luxury rental and had an excellent experience. They did not need much direction with content because they brought a level of creativity to the table on top of their technical skills. They promised a great video and were a delight to work with – First Class! The video exceeded our expectations and looking forward to working with them on our next project. Shanna and Rhys were lovely guests at our vacation home in Isla Mujeres. While there, they created an AMAZING video of our house both inside and outside using a drone. We were thrilled with the final result and are using it to market our home for rentals. They really captured the feel of our home using upbeat music and fun camera work! "Driven young professionals with top of the line equipment." Rhys & Shanna were amazing to work with! They are driven young professionals with top of the line equipment and know how to use it. The videos they produced for our homes are fantastic and give prospective travelers a better feel for the house. The photographs Shanna took turned out great – she has a keen eye for angles and artistic shots. Wish I had more houses for them to film! "Extremely impressed with their dedication!" Just wanted to say a huge Thank you to Rhys Shanna Truscott of Wild & Free Travel. They are a young ambitious couple that has traveled the world 3 times over it seems! With ambition, hard work, and dedication to sharing their passion of travel with the world they have been a huge part of helping me share not only a vacation rental but also our passion to serve others as well. I fully anticipate using them again for other things I have planned in the near future and I look forward to that. I highly recommend their videography skills and I have been extremely impressed with their dedication to ensuring that every potential client is reached. Feel free to call or text me with any questions you may have in considering using Wild and Free Travel in promoting your special destination! "In a matter of weeks, my rental weekends were booked and I was approached by a serious buyer." After trying to sell a property for months with no reasonable offers. I posted it on Airbnb to cover my holding costs. Then I was approached by Rhys and Shanna. They made me a video, helped me with social media sites and redid my vacation rental pages. In a matter of weeks, my rental weekends were booked and I was approached by a serious buyer. I ended up selling the property for well over asking. 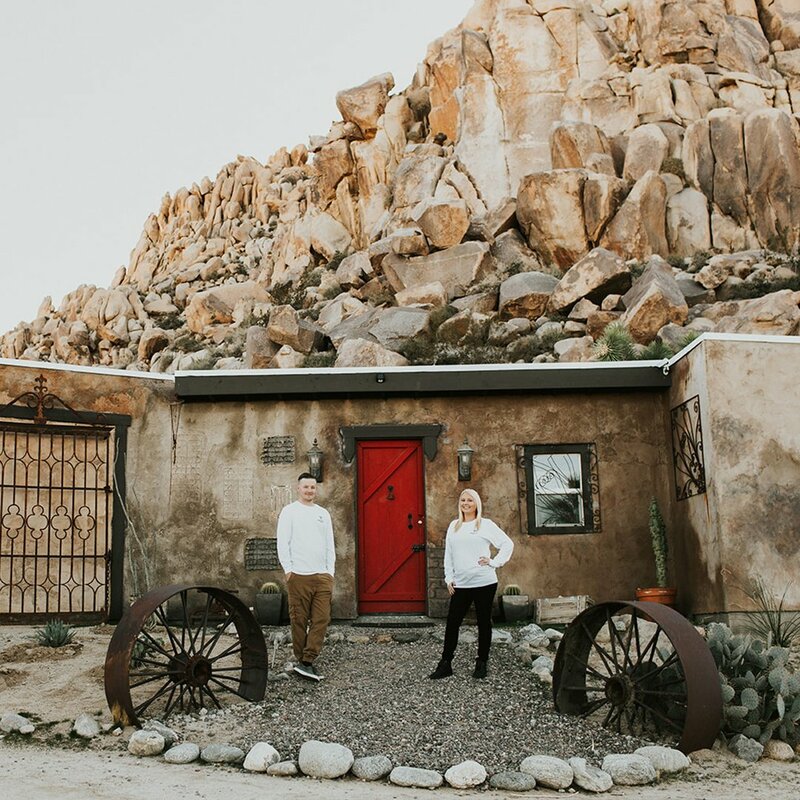 Rhys and Shanna are great to work with, very knowledgeable, have a true talent for video and photography and know how to make social media work for your real estate needs. I’d strongly recommend them to anyone looking to spice up their real estate offerings. I have been working with Shanna and Rhys for over two years now. When they first approached me I could tell right away that they have a real passion for their craft. I manage several condos in Cancun, Mexico. Their work is outstanding, it speaks for itself. They have provided excellent drone footage and they are aces in flying the drones and capturing key camera angles in the process. They also provided walkthrough footage of all my units. They are always very friendly and they promptly get the job done from start to the finished product. I would highly recommend Shanna and Rhys, terrific people. Want to collaborate with us? Send us an email at wildandfreetravel8@gmail.com or fill out your details below and we will be in touch as soon as possible!